Heart attack is the leading cause of death in the United States. For decades, we have known that risk for heart attack runs in families. Family history is particularly important when the disease occurs at a young age. These observations suggest that genetics plays an important role for heart attack. Indeed, in the past 10 years, researchers have begun identifying the mutations that drive cardiac illnesses in hopes of unlocking more personalized approaches to prevention, diagnostics, and treatments. 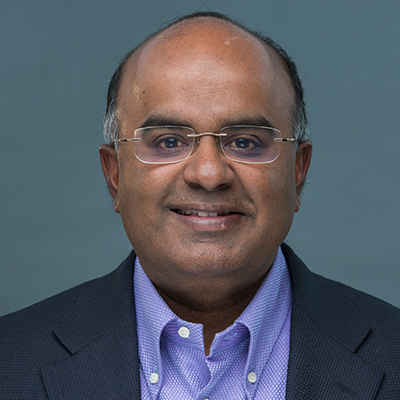 Sekar Kathiresan, who leads preventive cardiology at Massachusetts General Hospital and the Broad’s Cardiovascular Disease Initiative, has been at the forefront of this work. He is transforming the field with his discoveries of new biological mechanisms underlying heart attack and mutations that protect against heart attack risk. He and his team have also developed a genetic test for personalized prevention. What overarching questions have driven your research? My research started with a very simple question: why do some people develop heart attack at a young age? And more specifically, can we isolate the inherited factors that are predisposing these patients to early heart attack? About 2 percent of all early heart attacks are because of a single mutation in a given gene. Those genes all elevate LDL cholesterol. So that left open 98 percent of all early heart attack patients where we didn’t know what was going on. That was question one. Question two was, beyond LDL [“bad”] cholesterol, what other blood lipid levels play a role in heart attack risk? For 20 to 25 percent of individuals who get a heart attack at a young age but don’t have one of the single-gene mutations, it’s because of the cumulative effect of many variants across the genome—what we call a polygenic model. And we’ve been able to develop a specific score of polygenic risk, a quantitative metric of inherited liability to heart attack. That quantitative metric has a bell-shaped distribution in the population. If you happen to be on one end of the bell curve, you’re at much higher risk than everybody else. However, we’ve also shown that if you happen to have been dealt an unlucky hand in terms of the genetic lottery, you’re not destined to have the problem—you can actually also modify it based on lifestyle and/or treatment with statins. As for the other question about what’s important beyond LDL: when I started, it was unclear how important HDL and triglycerides—two other things that we measure—were. The conventional wisdom had been that if you have low HDL levels, then you should raise the HDL. What we’ve been able to show using genetics was that HDL is unlikely to be a causal factor for coronary heart disease. It’s a great marker of other things, but our genetic studies suggest that attempts to raise HDL and lower heart disease risk would not work. That was later shown to be the case in clinical trials. We’ve also developed a fair amount of evidence that there’s one specific set of genes that relate to how your body handles dietary fat—your body’s ability to clear blood triglycerides—that’s important in terms of heart disease. The genetics suggest that you can inhibit a couple of these genes, lower blood triglycerides, and potentially lower risk of heart attack. Medicines are now being developed to attack that pathway. The final issue has been looking at non-lipid pathways for heart attack risk. The newest pathway we’ve found is getting away from the idea of all the risk being inherited from your parents. Rather, you could acquire mutations in life, particularly in your blood cells, just randomly or because of exposures like smoking, that could actually increase your risk. And those mutations seem to be working not through cholesterol but through making the body’s inflammatory cells more reactive. It opens up a whole new risk factor that is potentially modifiable. How can we use this information to change the treatment of cardiovascular disease? I see a very important future for polygenic risk scores. I think that soon, everyone will know their polygenic risk score for coronary disease, like they know their cholesterol. We’ll be able to identify a subset of individuals that are higher risk early in life, and then offer them preventive interventions that we know work. Another area is developing new treatments beyond what’s available. Right now, we have two treatments: one to block the blood from clotting with aspirin, and one to lower cholesterol with statins. I think there’s going to be at least two or three more possible in the next few years. And then number three, I’m actually excited about the possibility of rewriting the genome in adults. Imagine if I could give you a single shot, perfectly safe, that would get rid of a given gene in your liver, and as a result of that single intervention, your cholesterol would go down by more than 50 percent for the rest of your life. That’s where I’d like to see us headed, where you have a durable intervention converting a chronic disease into a vaccine-type approach. Habits and genetic risk Genes can double the risk of heart disease, but a good lifestyle can cut it in half, reports Gina Kolata at the New York Times. Forecasting genetic fate Antonio Regalado writes at Technology Review that genetic risk prediction is a breakthrough technology of 2018. Bone-Deep Heart Disease The New York Times' Gina Kolata describes the new finding that mutated stem cells in the bone marrow are emerging as a major heart attack and stroke risk.